Since MP4 is becoming more and more popular for storing digital audio and digital video streams, especially those defined by MPEG, many people have been wondering “Can Windows Media Player Play MP4 files?” Why cannot open MP4 in Windows Media Player? How to play MP4 files on Windows Media Player successfully? You have probably tried this at some time. But strangely, some MP4 files work and some just don’t seem to be playable on the WMP. Your guesses are right! This article will answer all of these “MP4 to Windows Media Player” questions. Have Troubles When Windows Media Player play the MP4 files? How to Play All Kinds of MP4 in Windows Media Player? Windows Media Player doesn’t natively support the .mp4 format, so you haven’t missed any updates. 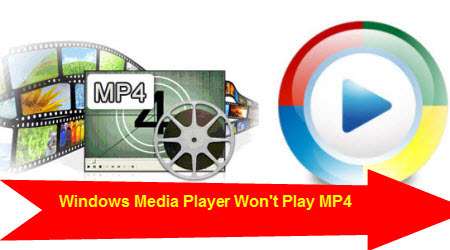 From Microsoft support website we know that MP4 files are still not supported playing in Windows Media Player. So far, WMP is only compatible with WMV, AVI ASF, MPG video formats and WMA, MP3, WAV, AU, AIFF audio formats. In order to make Windows Media Player play MP4 videos, you will need to updated the newest Windows Media Player version and install some MP4 codecs for Windows Media Player or simply convert MP4 to Windows Media Player with some free tool highly compatible WMV or AVI videos. Keep on reading and choose the way you prefer to make MP4 playable in Windows Media Player. Note: You’ll receive an email with the download URL upon conversion. The converted file will only be available for 3 days, before it’ll be deleted. In order to play MP4 in Windows Media Player, you must install some MP4 codecs first. Below are some popular Windows Media Player MP4 codecs. In order to play MP4 files, you must have MP4 Splitter installed. Not to be confused with MPEG-4 Video, the MP4 Bit stream format is a wrapper format (similar to AVI/OGM/Matroska). The format was licensed from Apple’s QuickTime by the MPEG group as the official file format for MPEG-4 content. It should become more popular as commercial entities start shipping more MPEG-4 content. This Codec Pack provides a wide range of MPEG-4 decoding/encoding solutions, which are offered as DirectShow Filters. Elecard MPEG-4 Codec Pack will enable you to encode and decode various video and audio stream types. Here, we found the File Repair is a powerful corrupted MP4 File Repair tool. It is able to extract the data from the corrupted MP4 file to a new document. Besides MP4, File Repair supports different file formats, such as, AVI, MOV, MP3, WAV, JPEG, GIF, BMP, PNG, DOC, XLS, ZIP, RAR, etc. According to Pavtube, the free version has all the features of regular Pavtube DVD Converter Ultimate except it cannot output as MP4 nor does it have specific output profiles for electronic devices. Convert any MP4 video and DVD to MOV, MKV, MPG, AVI, etc. After upgrade to full version, you canget more desired profiles for editing or playback. The Mac users can try iMedia Converter for Mac. The easiest way to play MP4 in Windows Media Player is to convert MP4 to Windows Media Player WMV or AVI first and then play the WMV or AVI videos in Windows Media Player with ease. To do this, you can just get a video converter and do it as easy as ABC. 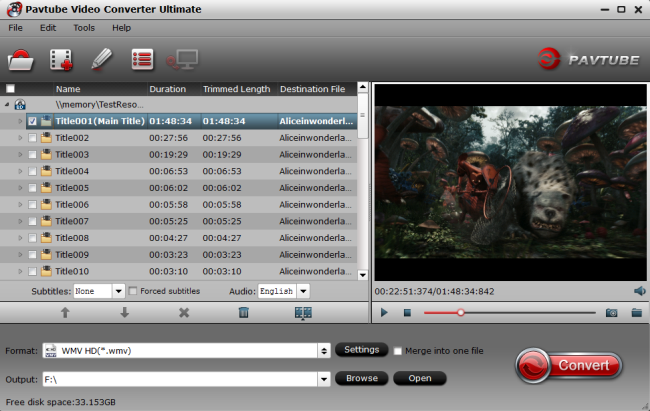 Here, Pavtube Video Converter Ultimate <Mac version> is just the right MP4 to Windows Media Player Converter which can convert all kinds of MP4 videos such H.264 MP4, MPEG-4 MP4, H.265 MP4, 3840P MP4, 1080P MP4, 720P MP4 to Windows Media Player supported video format WMV, AVI, ASF, MPG. Besides converting MP4 to WMP video format, it also can convert MP4 to Windows Media Player supported audio format like WMA, MP3, WAV, AU, and AIFF. Moreover, this ideal MP4 Windows Media Player Converter also helps to convert other Windows Media Player unsupported format like MOV, VOB, WTV, MKV, WebM, RMVB, FLV, 3GP, MXF, AVCHD, FLAC, APE, OGG, 3GA, M4A, DTS, RA, VOC, M4R, and etc to WMP supported video or audio format. Read reasons to choose the program. What New? Pavtube Software for Windows upgraded to support newest H.265 NVIDIA CUDA & AMD APP technology in video decoding to improve performance. After you install the MP4 decoder correctly on your computer, drag you files in this program directly or with “Add Video” button. This top-notch MP4 to WMV converter pro supports drag-drop and batch conversion, so you can import and convert several MP4 files at one stroke. 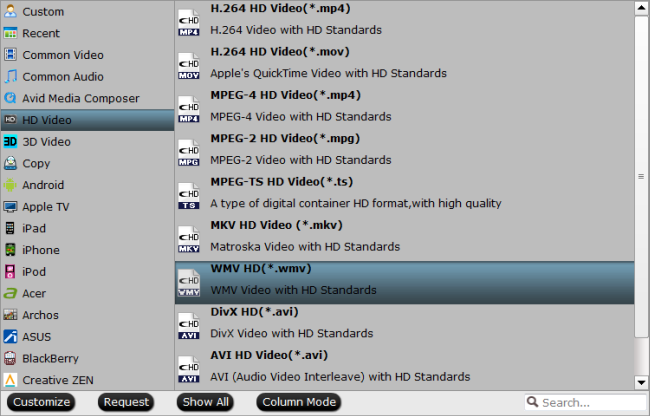 Come to the output list and choose HD Video > WMV HD(*.wmv) as the best video format for adding to Windows Meida Player. Of course, you can choose other WMP compatible formats like MPEG-2 or ASF. Adjust the video and audio parameters, including the Bitrate of Video & Audio, Video Size, Sample Rate, Frame Rate, Audio Channels, etc., by clicking the Settings button on the main interface for getting the best quality. Now lightly click “Convert” to get MP4 to WMV conversion work started with a split second. You can view the conversion progress from the progress bar at the bottom of the dialog box. After conversion, you can import the output files to Windows Media Player for playing. With this method, you not only can play MP4 in Windows Media Player, but also can convert and play other unsupported video in WMP. Playing MP4 in Windows Media Player is that easy. And the Pavtube Video Converter Ultimate is a best program that can give you optimum results then you may have no issues about ” Windows Media Player cannot play MP4 ” choose the one as you like.